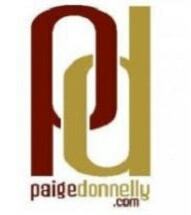 Paige J. Donnelly, Ltd., is an established law firm located in Downtown Saint Paul, Minnesota. We focus solely on personal injury claims and are known specifically for resolving the most complex cases that other firms may not be equipped to handle. Our law firm dates back more than 50 years and each of our attorneys brings a wealth of meaningful legal experience. There are virtually no types of injury claims that we have not successfully resolved for our past clients. When you work with our law firm, you will notice our two core commitments from day one: strength and compassion. We are deeply committed to our duty of helping accident victims, and our attorneys will do everything in their legal power to help you obtain justice and compensation for your injuries, lost wages, pain and suffering, and permanent disabilities. While we are skilled at obtaining favorable results outside of trial, we will never back down from a courtroom battle if you are not being treated fairly by the insurance companies. But we also understand that this is more than a legal matter for you — it is also highly personal. We know that you will face stress, anxiety and a range of other emotions as you navigate this legal process. Our lawyers truly provide the support and compassion you desperately need during this difficult time. We will remain by your side at each stage of the process. At Paige J. Donnelly, Ltd., we offer free initial consultations to all prospective clients, and you will not pay attorney's fees unless we win your case. Spanish interpreter is available on staff.